AssetAvenue, a new and exciting real estate crowdfunding company, has acquired a new asset, Adam Chapnick. If you already heard of the name, then you already know why the acquisition is such a big deal. If Adam Chapnick does not ring a bell, then his work at Indiegogo will say it all. The importance of Adam in Indiegogo was invaluable. Adam is the very mind behind many of the business developments and the growth of Indiegogo into one of the most premier crowdfunding platforms. 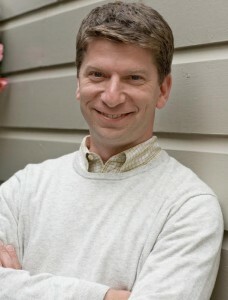 Adam Chapnick founded Distribber in 2008. In 2010, Indiegogo acquired his company and Adam himself and became Indiegogo’s first employee. Since then, he has been an integral part of Indiegogo’s history; expanding the brand into new markets and creating the name into one of the biggest crowdfunding platforms in the world. Now, Adam is looking to the same thing with AssetAvenue. Adam Chapnick signed up to be AssetAvenue’s Chief Strategic Officer and brings his expansive network and experience to revolutionize a new kind of business. The great news about all this is a startup was able to grab a high-profile player. Can more key players potentially fall into other startups laps? Maybe, but a nice business plan, a great selling point, and a new opportunity may help get others stepping away from industry giants and into the world of startups. AssetAvenue is based in Los Angeles and looking to take real estate crowdfunding into a bigger spotlight. AssetAvenue is all about crowdfunding real estate opportunities and allowing accredited investors to sign up and join their efforts. Investors are then allowed to browse and invest in real estate property, diversify their investment portfolio, and generate some income. The company was founded by David Manshoory in December 2013. Thanks for a great article Alex! Our team is growing rapidly and we are actively hiring, so for those that are interested, please take a look at http://assetavenue.catsone.com/careers/.